Writer's Journey: 9. Exposition Is Ammunition. Exposition is just "information that the reader needs." Most exposition is handled right in the narration of scenes: We learn something about the setting, and we learn about something about the characters, and we learn something about the situation. But... the story is about action, not just exposition. You don't want to bog the reader down with historical detail, or the character's life story, or minutiae about the room. The trick is to determine what the readers need to know right now to understand just as much as you want them to understand. In the beginning of the story, especially, we might be tempted to explain too much, but we really need to give enough information that the readers are drawn into the story to find out the rest. And about "ammunition"? Well, when and how we reveal information can lead to greater drama and reader involvement. A famous example is the opening of Hamlet, the exchange between two minor characters that is sometimes called the world's first knock-knock joke. Okay, it's not a very funny knock-knock joke! But in the very first lines, we get that they are standing watch, that it is winter, that it is night, and that this is a place where there is a king. That's all the readers need to know at this point. The most important bit of information is that last-- "I am sick at heart." This poses the question in the readers' minds: Why is this sentry sick at heart? Exposing some information but withholding other information leads to questions, and it's the desire to answer those questions that impel readers to read on. And later in this first act, there is another question set up-- why do they call for Horatio, a high-ranking courtier, and what is it they told him to get him to come? That's explained (partly) by Shakespeare's laconic scene direction: Enter Ghost. And the most important information-- is this all true-- is left ungiven until much later in the play, so that reader can be in doubt just as Hamlet himself is. "What you conceal is what you reveal." Keep that in mind. Withholding information (and letting the reader realize there's information being withheld) is a way of signifying something important is being hidden, and for presumably a good reason. We are much more tantalized by secrets than we are by facts. EXAMPLE: In Robert Harris's Conclave, the world's cardinals meet to choose the next pope. Most of them are known to each other and immediately begin politicking and negotiating. But one is unknown, arriving at the last minute and without luggage. While this unlikely entrance is explained (Benitez might have been arrested at the airport if the government realized he was leaving), the author carefully sets up more questions. Everyone at the conclave knows of Benitez-- he is famous for his resistance to fascism and his service to the poor in Africa-- but no one has ever met him. Additionally, one odd factoid is passed on by the maid that cleans his room-- he has not even opened the package of toiletries they provided for him. This seeming irrelevancy becomes a clue to the essential mystery of "Who is Cardinal Benitez?" There has to be a payoff, of course. The "seeming irrelevancy" shouldn't actually be irrelevant, or the reader will feel cheated. And the withholding has to be done adroitly enough that the reader notices-- "Wait a minute. She was all set to put an offer in on that house. Then she saw the chandelier in the dining room, and changed her mind. What's the big deal about the chandelier?" But it can't be too obvious too early that this is a clue, or the reader will be too aware of the clumsiness of the intrusion. It's a balancing act, to be sure! It's probably best to set this up as you draft the earlier scenes, then refine the exposition/ammunition dynamic in revision. Your turn! Look at your own story, and think about what revelations are important, and what the reader needs to know early in the story. 1. 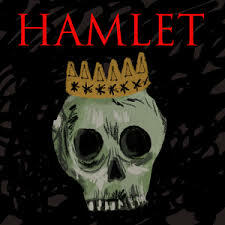 What is a major character trait you want to emphasize (like Hamlet's need for certainty before he can act)? 3. Look to the early scenes. What information can you hint at, but withhold, in order to focus the reader on some plot or character mystery? 4. It might help to look at stories you've enjoyed, and see how the exposition is handled, especially in the early scenes. What did the author withhold, and to what effect?